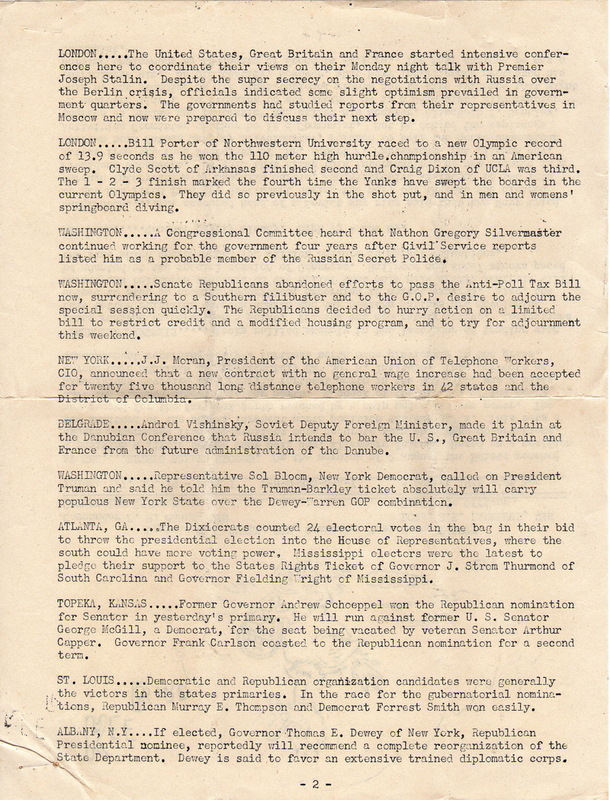 Click or Tap here for a PDF of this document. 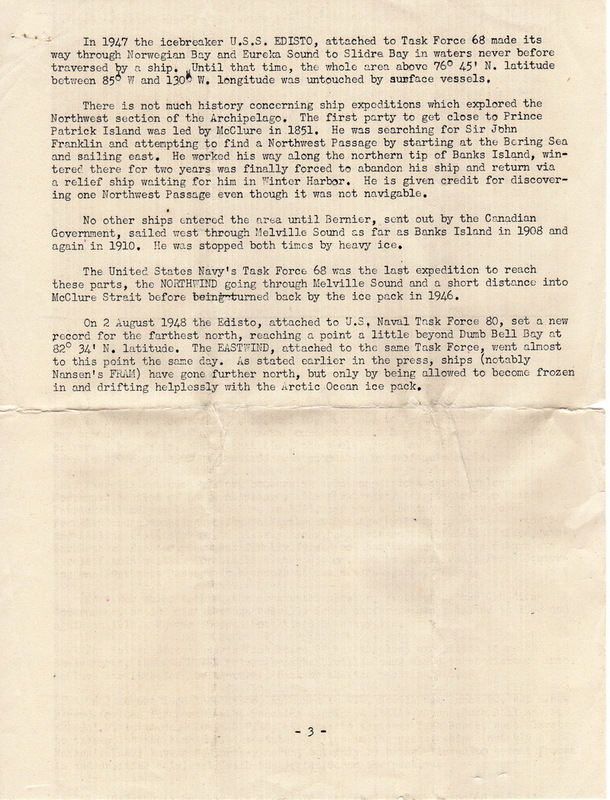 Published during Task Force 80's expedition, this documents the record set by the USS Edisto - at that time farthest north position by a ship under its own power. 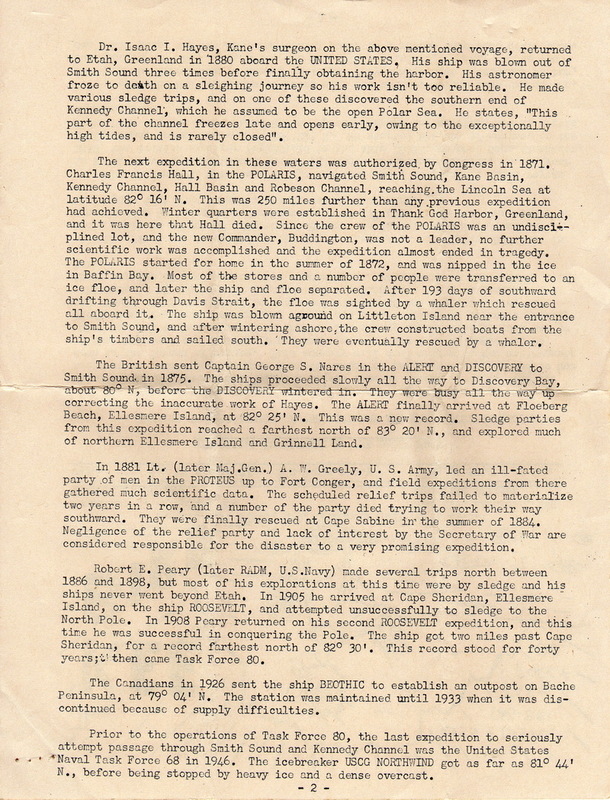 That record was subsequently broken by the USCGC Eastwind (which was also a member of Task Force 80) on August 16, 1952, when it reached a point 442 miles from the north pole. 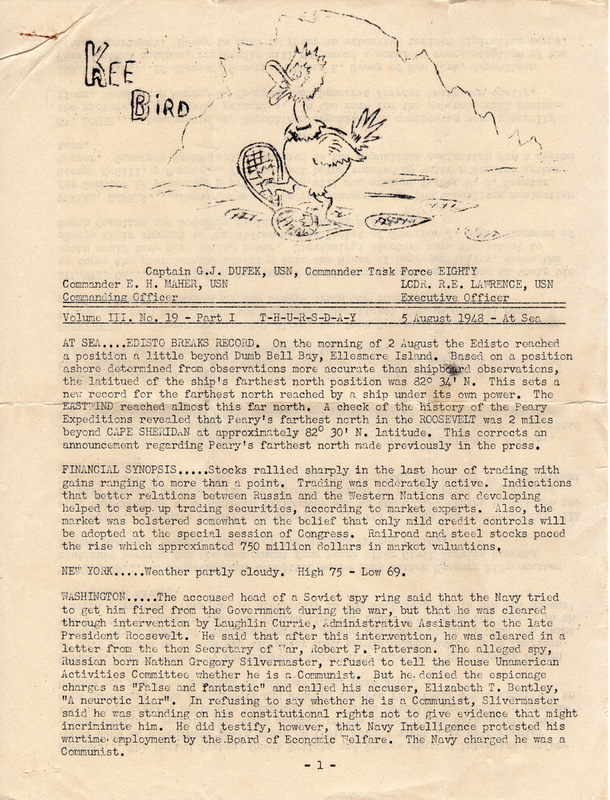 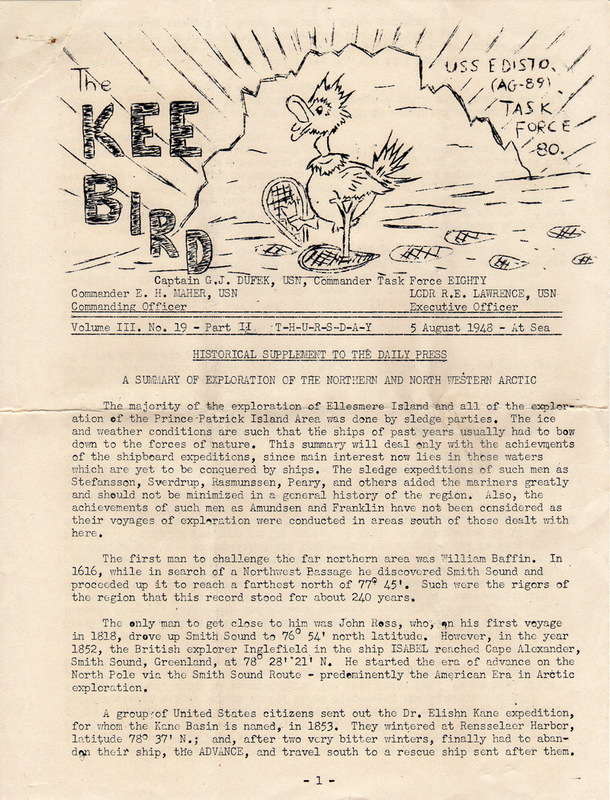 The Kee Bird also contains a summary of Arctic exploration to this point, and some of the news of the day.